The Final Girls Berlin Film Fest wraps with two more exceptional blocks of powerful short films addressing our deepest fears and heartbreaking horrors. 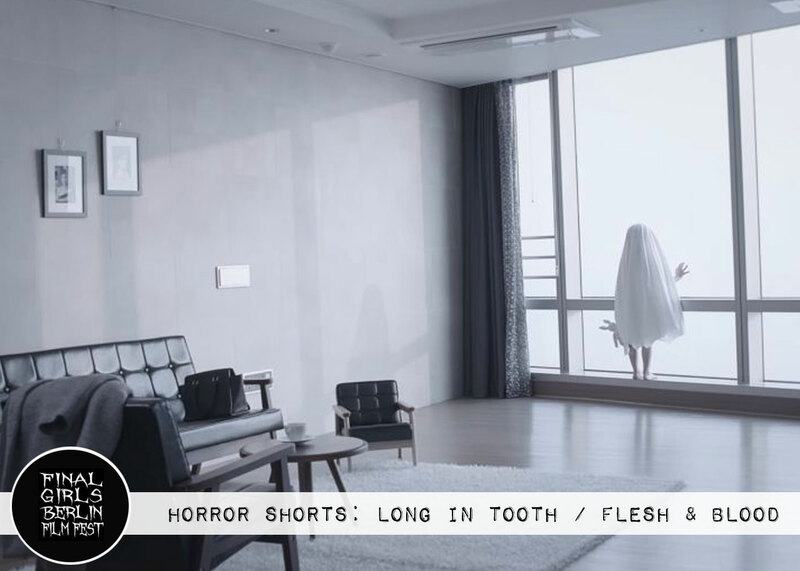 We round out our coverage of the Final Girls Berlin Film Festival with the final two horror short blocks from Day 4 of the festival: LONG IN TOOTH and FLESH AND BLOOD. The first deals with the horror of aging, while the latter tackles issues related to familial bonds, the pain of parenting, and the helplessness of youth. It was another unforgettable day of female-driven, short horror programming — capping off four days of incredibly impressive filmmaking and genre talent. In just two minutes, this short manages to provide considerable shock and surprise, going places you’d never expect it to go. It begins with two adults visiting their grandmother right before Christmas. She appears to be suffering from a bit of dementia, and her granddaughter seems only interested in taking her money. But the selfish kids did bring her a gift — an adorable white shelter dog named Albert. We learn it’s not the first dog they’ve tried to give her. Apparently, Grandma’s forgetfulness has caused her to lose more than one canine companion. 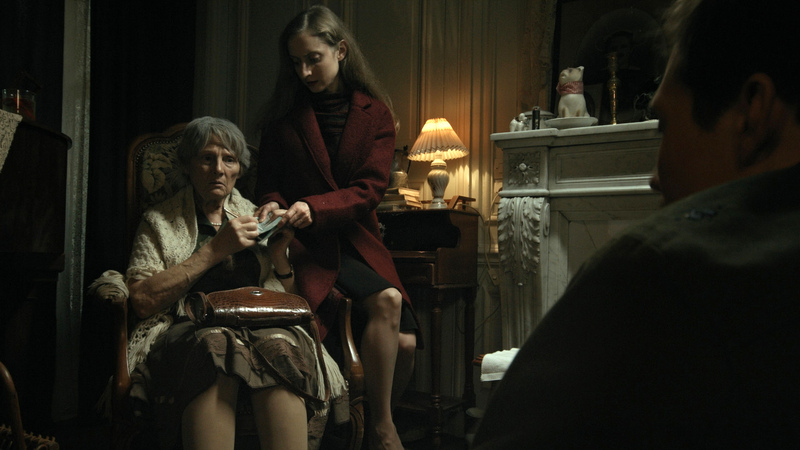 When the children leave, the short takes a twisted turn, subverting expectations and shifting the old woman from victim to villain. It’s darkly comedic and more than a little disturbing. While no animal violence is shown on screen (thankfully), plenty of nastiness is implied that will likely leave dog lovers whimpering. This brilliant short explores the nature of fear and anxiety. While too much fear can be crippling and all consuming, a healthy dose of fear keeps us safe from the dangers all around us. The old woman in this short is a broken shell of a woman, weary from constant worry and the inability to escape the terrors inside her own mind. She spends her days locked away inside her home, overwhelmed by the news she reads about bad people doing bad things. She never feels a moment of peace. Then one day she turns to the Internet for a cure for her anxiety. She stumbles upon a website that promises to rid her of all her fear once and for all. The answer isn’t cheap, but she’s desperate for relief. Once she submits her payment, she’s instructed how to remove the physical manifestation of her fear and keep it locked in a tin under her stairs. Once the fear is removed, she becomes a new woman — full of vigor and joy, now able to live life to the fullest. But when she faces a very real threat in the form of a stranger casing her house, the fear she tried to hide away becomes harder and harder to ignore. And she has to choose between safety and sanity. Superbly acted, with a great blend of fantasy and horror, this compelling tale will definitely speak to anyone plagued with anxiety — constantly fighting a battle between worry and denial. At just over a minute, this short from the very talented Jill Gevargizian is a bloody good time — an incredibly fun film that reflects a pure love of horror. In it, an adorable young girl wakes up at Grammy’s mouse. When she calls out for her, Grammy responds that she will be right down….just as soon as she puts on her face. But the girl is impatient and decides to barge in on Grammy before her face is ready. The result is a gory reveal, featuring some pretty impressive special effects and the introduction to a future scream queen in the making. You can watch this short in full right here. 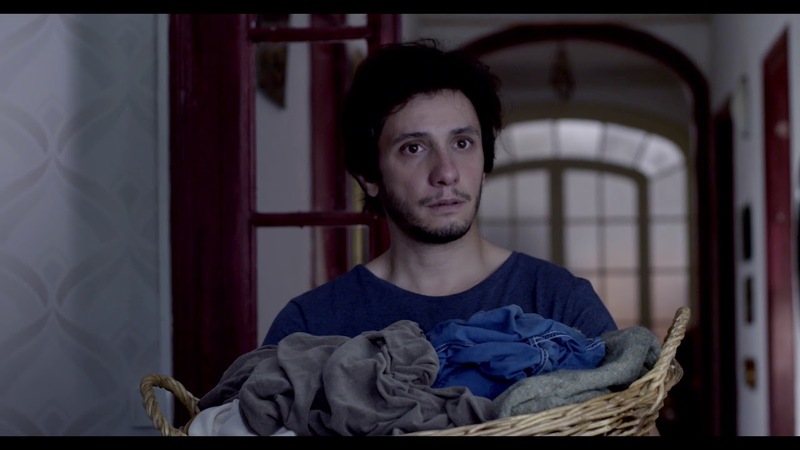 Centrifugado is a Spanish short that was written, directed, and edited by first time filmmaker Mireia Noguera In English, the title translates to Spin, and the story begins at a local laundromat where an elderly woman asks a young man to help her carry her basket of clothes back to her apartment. Once inside, the woman offers the man a glass of water. He refuses, but she insists. She then pressures him to stay and keep her company. He insists he has to leave, but she doesn’t take no for an answer. When she leaves to get a board game, he tries to make an escape out the front door, but he discovers he’s been locked in. Then the room starts to spin, and he blacks out — waking up to find he’s been drugged and kidnapped. The tension escalates and the terror mounts as the man tries to desperately escape his captor. But things are definitely not what they seem, and the deeper meaning behind the film’s title comes sharply and painfully into focus. This is an unforgettable tale that moves briskly from horror to heartbreak, delivering a shocking and emotional twist ending that left me as a viewer, well, spinning. Maybe it’s just me, but I often find myself watching supernatural, demonic tales and impatiently waiting for the good part — usually the last 15 minutes or so where things really go to (pardon the pun) hell. It’s in these final moments where we get the sexiest and scariest part of the film, the nightmarish finale that usually involves an epic showdown between good and evil. La Proeza (translated to The Feat) is a Spanish language short that feels like watching those last — and best — 15 minutes of a Satanic horror film. It follows a young girl who travels to a remote village to seek a secret, illegal abortion. When she’s escorted to a dirty basement and ordered to hop onto a crude kitchen table, it seems the horror of this short will lie in the primitive and terrifying procedure itself. But that’s just the beginning. After being drugged and waking up post-operation, she realizes there are far great dangers facing her, as it soon becomes clear the women at this makeshift hospital have more sinister plans for her and her baby. Wonderfully creepy and atmospheric, this is pure and entertaining horror at its best. 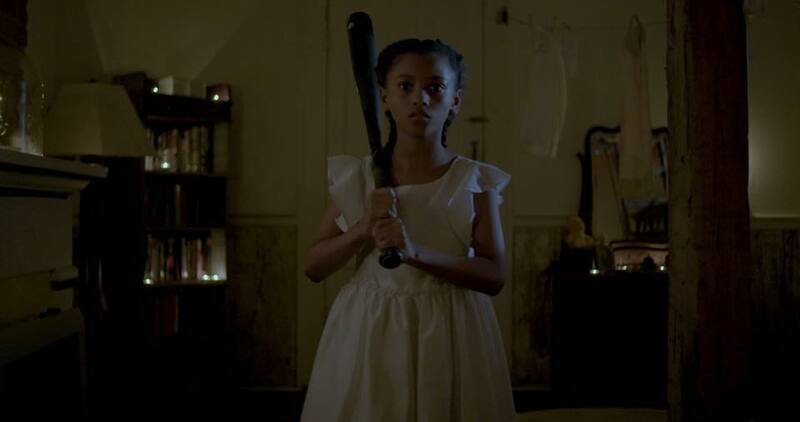 This spell-binding Southern-gothic horror film focuses on a young girl named Ana, the night before her fifth birthday. Her mother, Elize, is working hard to make sure everything is perfect for the celebration. After putting her daughter to bed, the exhausted single mom takes a soak in the tub. But this act of self care comes with a price, inviting a malevolent force into the home and transforming Elize from protector to threat. Some of my favorite films, like The Babadook, use the supernatural to personify grief and real human suffering. And Blood Runs Down does this in such a masterful and heart-wrenching way to tell a poignant story of generational trauma. With haunting visuals, exceptional sound design, and stunning performances from both the mother (Idella Johnson) and the daughter (newcomer Farrah Martin in a jaw-dropping debut), I was absolutely riveted from the first to last scene. I can’t say much more without spoiling the chilling and emotional journey the film takes you on. But I will say that the gut-punch of an ending took my breath away. Japanese horror has always held a very special place in my heart, usually managing to terrify and disturb me in ways few other genre films can. This horrific and heartbreaking tale is no exception. A young college student named Sujin arrives at an upscale, high rise apartment to apply for a babysitting job. She’s interviewed by the cold and distant mother, Mrs. Lee, who immediately offers her the job on the spot — unexpectedly asking if she can start right away so the single mom can rush off to work. 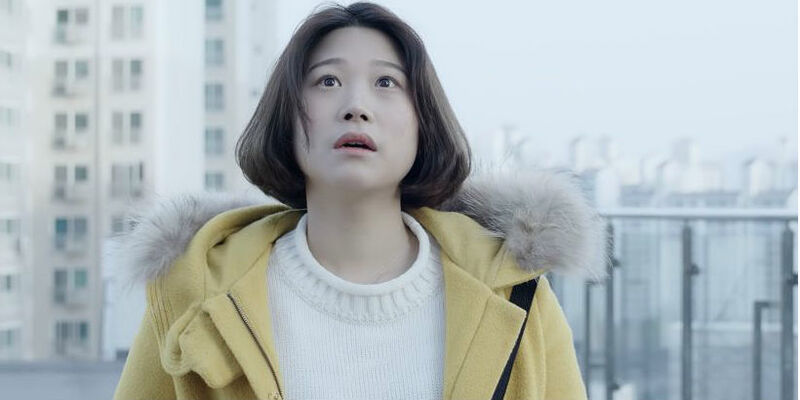 Sujin reluctantly agrees, somewhat troubled by the mother’s strange behavior and her constant repetition of, “Just keep my daughter safe.” When the Mrs. Lee leaves Sujin alone with her four-year-old daughter Hana, strange things begin to happen. First time writer/director Mai Nakanishi skillfully builds the tension, ramping up to the startling and deeply affecting conclusion. The filmmaker effectively uses a minimalist approach to create maximum effect — weaving a tragic tale with tremendous style and significance. 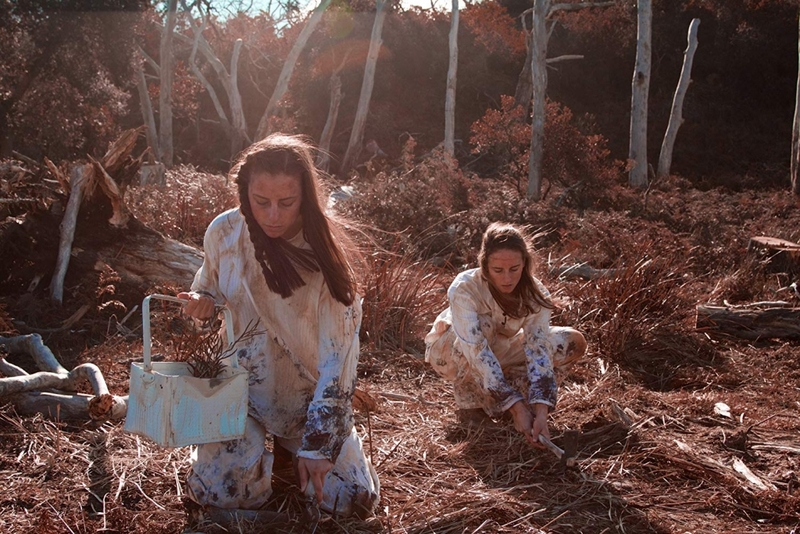 This futuristic, sci-fi horror film revolves around two sisters who have been transported to a new colony on a foreign planet. The colony is named Heaven, but it’s pure hell for Seren and Rhian. Desperate and desolate after a devastating war in 2131, the girls have agreed to five years of hard labor for a chance at a home and a fresh start. Forced to work tirelessly under miserable and oppressive conditions, Seren becomes very ill. Her sister, Rhian, serves as her protector, doing whatever she has to in order to help her sister get better — including trading her body to one of her cruel captors for food and medicine. However, when things take an even more tragic turn at the colony, Rhian finds herself drawn to the ocean by a sinister creature that promise to help her. Yet, once again, that offer of helps comes at a terrifying cost. This short is beautifully shot, well crafted and exceptionally acted. It’s a dark and melancholy tale about the abuse of women, but the wonderfully twisted Lovecraftian ending delivers a satisfying payoff for horror fans. Out of all the shorts, this terrifying tale out of South Korea delivered the most visceral horror. In fact, it was quite hard to watch at times — and that’s definitely meant as a compliment. It tells a story of a sweet 10-year-old girl who wakes up scared following an unsettling nightmare about her father. She immediately wants to go see him to make sure everything is ok, but her mother says she should not disturb him. He’s very ill and resting. While the two play a game and seem to share some innocent bonding time together, the girl’s Uncle (her father’s brother) shows up and begins aggressively banging on the door. The mother tells the daughter to keep quiet and hide while they avoid the visitor and wait for him to go away. And we get our first hints that something is definitely not right. That feeling of uneasiness grows considerably when the mother enters their bedroom to check on the father. She’s unaware her daughter is hiding under the bed, having snuck into the room to see her father (who is tied to the bed and wearing an oxygen mask to aid his heavy, labored breathing). What happens next is deeply disturbing and utterly chilling. While this short is more about what you don’t see than what you do, it’s highly effective at getting under your skin and severely unnerving you. TERROR FILMS wants your horror shorts!